As a leading SEO company in Chicago, we know that online marketing techniques continuously evolve. Here at Design & Promote, we focus on staying ahead of the Chicago SEO curve to consistently give our clients customized strategies and solutions that yield the results they deserve. Case in point: other SEO agencies in Chicago may only offer online marketing tactics for content alone. Not at Design & Promote. We know firsthand that creating an effective Chicago SEO campaign means including both content and image strategies. Optimizing both copy and graphics can elevate results and give our clients a much needed browser boost with relevant searches. Our SEO company in Chicago will optimize your page graphics, because at Design & Promote, we use the very latest innovations and tactics. During our partnership, we will work with you to conceptualize page layouts and pinpoint the right images to complement and strengthen your content campaigns. One of the first things we will discuss is the placement of your graphics within your content. Many of our clients are surprised when learning just how “smart” the search engine algorithms can be. Most don’t realize that browsers can take in both the content and graphics as a whole and try to determine their relevance to each other. We use this to our advantage by only using images that reinforce the message and main topic found throughout the page. Utilizing proper alt tags can also make a major difference in your Chicago SEO campaigns. We’ve all clicked on sites where the attached images won’t render; at Design & Promote can turn a rendering failure into potential opportunity. By using strategic alt tags (aka text displayed in the absence of a designated image), we can still convey your marketing message and compel users to click on. Every online image has a dpi (dots per inch) total. As a general rule of thumb, our creative team strives to use graphics with a 72dpi for optimal quality and seamless download. It is possible to use higher dpi images; however, we stay below 300dpi to keep your pages loading seamlessly for an optimal user experience. How you save your images can also have an impact on your browser victories. We never use generic file names such as “Image” or “Product.” Instead, we utilize keyword rich file titles so the search engines can recognize exactly what your page images are. We don’t stop with file name alone; at Design & Promote we also consider file format as well to give your images an added SEO boost. We only use browser supported formats such as JPEG and PNG so your pages get the attention they deserve during relevant online searches. Finally, rather than distributing your images throughout several directories, our team will create a consolidated image sitemap file for optimal return on your SEO investment. 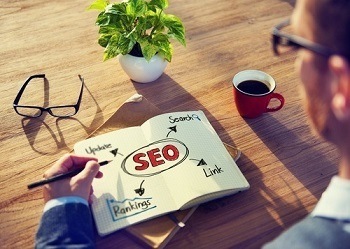 Are you ready to get started on your customized Chicago SEO solution? Contact the team at Design & Promote today!